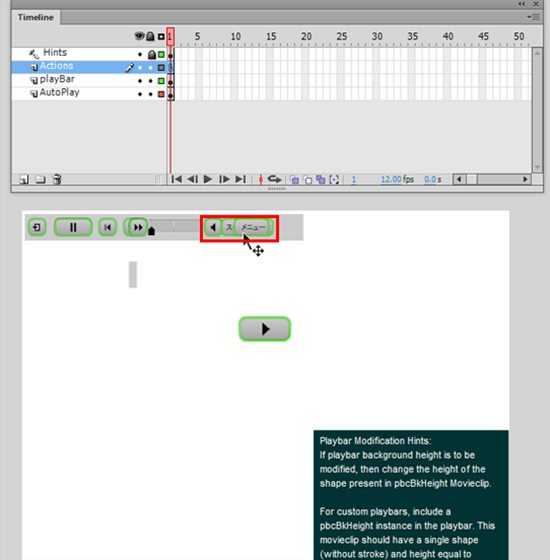 How to Translate Tooltips in Adobe Captivate 7? Tooltips are nothing but a rollover (Alt Tag) text on the play bar button. If we hover the mouse on the play bar buttons, we can see the rollover over them as play, pause, rewind, closed caption, etc. 1. 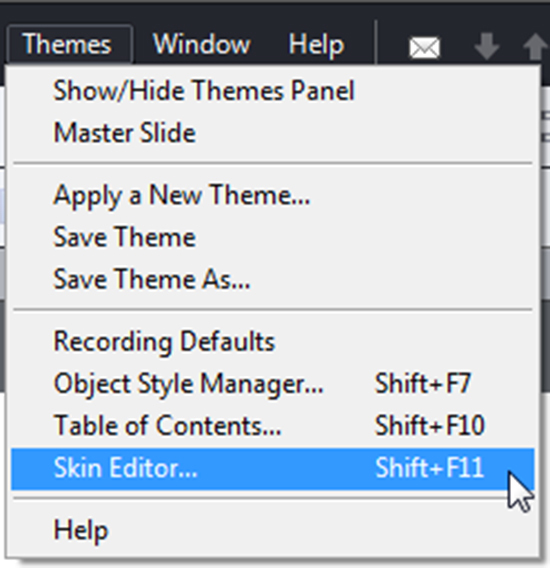 Go to the themes Menu and select Skin Editor (Shift + F11). You can see right side below tooltips and buttons are in English language with its default theme. 2. Select the required options for the course from the list. 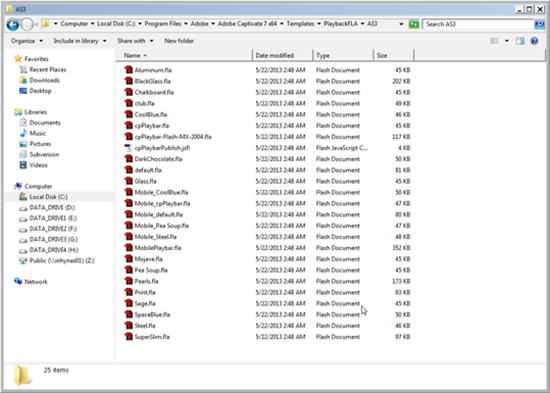 Here you will find all the flash files, which are the default themes of Captivate 7 and which are interconnected to the captivate file. 4. Select a theme that is suitable to your course. 5. 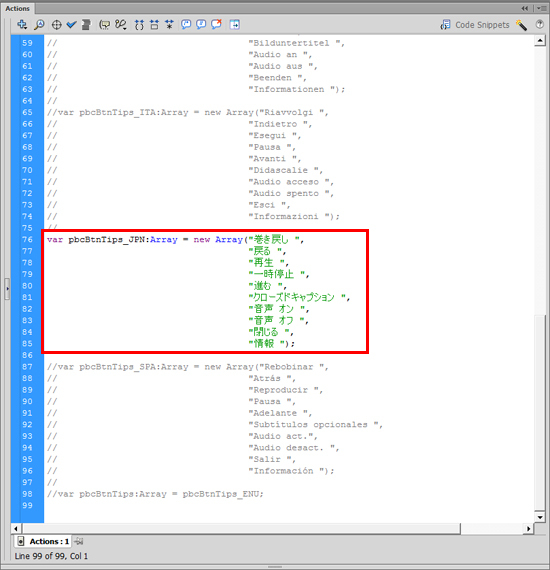 Open the theme in the Flash file. Here you will find player buttons. You can change text according to the language you need. 6. 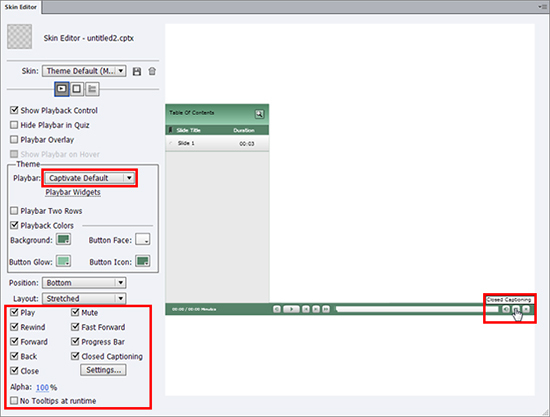 Select action layer and click F9. 7. You can find a set of languages here. Enable any one of the languages. 8. 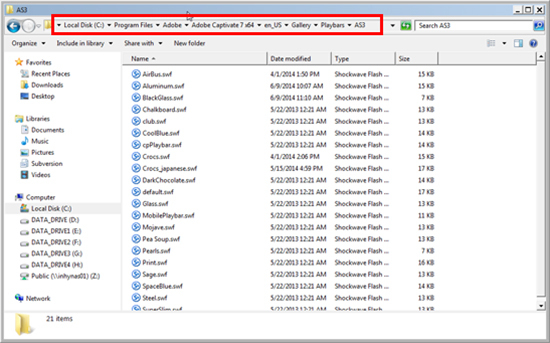 Save the Flash file and click Ctrl + Enter; it will generate a .swf file. Copy that swf file and paste it in the path below. 9. Go to Captivate again and select the theme that you edited. 10. View the preview; you can see that the tooltips are changed to the selected language. Hope this blog helped you to know how to translate text in Tooltips and players buttons in Captivate 7. If you have any other ideas regarding this, please do share.